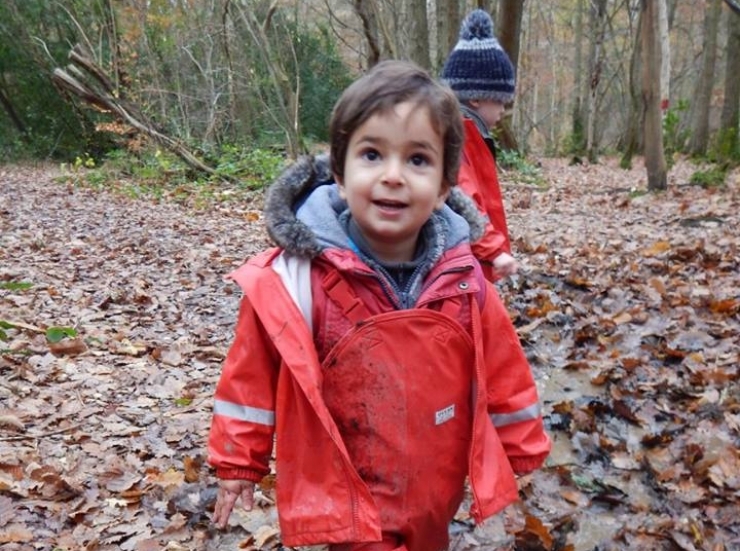 My husband and I would like to warmly welcome your family to Amberley Nursery and Forest School. We moved to Bexhill in 2001 and have enjoyed growing and developing Amberley with a dedicated team of professionals. Shortly after moving to Amberley we started our own family; becoming a parent for the first time was the most exciting and rewarding experience. It gives us great pleasure to share in your experiences of becoming a family, working with you to ensure your child gets maximum benefit in their time at Amberley. We value education for all and strive to give everyone a passion for lifelong learning. After our third and final child I attended Brighton University and gained my BA (Hons). This has strengthened our beliefs and given us a deeper knowledge and understanding of child development. During my time at university I was introduced to the concept of Forest School. I was so amazed at the outstanding benefits this has for children and determined to bring this to Amberley. In 2012 Mark embarked in gaining the qualification requirements to become a Forest Section Leader. In 2013 we gained our Forest School status. We are a progressive educational establishment where the values and opinions of children, parents and staff are at the forefront of our desire to support our community. We truly hope your family's journey with us is productive and truly happy one. I have 16 years of experience, working with children in nurseries, as a nanny and abroad as a Children's Rep. I have NVQS LEVEL 2 and 3 in early years care and Education. I am also the Child Protection Lead for Amberley. I am committed to ensuring the children are at the centre of everything that we do and each child is given the opportunity to follow activities that interest them, learning through play. I have worked at Amberley since October 2001 in many roles, from a school student on placement to deputy manager since September 2015. I enjoy watching children learn and develop in their own ways and at their own pace; I enjoy my role as SENCo (Special Educational Needs and Disabilities Co-Ordinator). I have NVQs Level 2 and 3 in Early Years Care and Education which I gained whilst working as an apprentice. I started working with children in 2010 and have worked in a variety of settings, including as a nanny, child minder and in nurseries. I have also worked at PGL as an Activity Instructor and Group Leader, as well as at Brighton and Hove Albion Football Club as a Football Coach. I have an NVQ level 3. I joined the Amberley team in 2016, I enjoy working with babies and toddlers and love messy play. I am a level 3 qualified practitioner and began working in childcare in 2014 after having a family of my own. I enjoy spending time with family at weekends and socialising with friends. I have an NVQ level 3 and have been working at Amberley since March 2015. I enjoy helping the children to become ready for school and seeing them develop, as well leading a TALL (turn-taking, attention, listening and learning) group each week. I moved to Bexhill 3 years ago. I have worked at a Pre-School for over 20 years and have an NVQ level 3 in childcare. I enjoy walking my dog who is also registered as a therapy dog and we visit two local nursing homes. I am member of the local gym and also volunteer at a local monthly club for blind and partially sighted people. I enjoy craft activities with the children, song, rhymes and story times. I have been working at Amberley since September 2015, as an apprentice, doing my NVQ level 2 qualification. I have experience with young children as I have a daughter of my own. I am looking forward to learning more about the early years. I have an NVO level 3 in Childcare and have worked with children since 2007. I enjoy being active, singing and dancing. I have two boys one who attends Amberley. In my spare time I enjoy taking my son on days out. I previously worked at Amberley in 2002 and have an NVQ level 3 qualification. I left to get married and start my family, my son attends Amberley and I currently work in the baby room. I have worked in a variety of settings across the early years age groups. I worked as a beautician before having my own daughter. After spending some at home I fancied a career change and has been part of the Amberley team since 2017. I joined Amberley in 2018, I have 4 years experience working with young children in nurseries and a children's ward at the Conquest Hospital. I absolutely love working with young children and I'm currently based with the under 2's. My hobbies include seeing friends, walking my dog and going on holidays. I am working towards my level 3 diploma in Childcare and Education and first came to Amberley as a student, before commencing my employment. I enjoy babysitting and looking after my younger siblings. In my spare time I work at a restaurant and Little Common School Holiday Club, which I really enjoy. I am a father of 2 and have worked with children and young adults since 2007, both in nurseries and children’s homes. I am NVQ qualified and have worked in a few nurseries. I started at Amberley in 2016 and during this time have spent two summers abroad working in Spain. I am passionate about working with children and enjoy watching them develop. My favourite activity is messy play. I first came to Amberley as a student whilst completing my level 3 qualification at Bexhill College. I have younger siblings and have gained lots of experience with children of a variety of ages. I have now gained my level 5, HND in Early Years qualification and am studying at university for my degree. I have been employed at Amberley since May 2016 as a practitioner and support worker. I recently moved to Bexhill to live with family, my younger sisters have attended Amberley so my family knows the nursery well. I am currently studying towards my NVQ in childcare at Hastings college. I joined Amberley in 2018 as an apprentice, I'm passionate about early years development. In my free time I enjoy keeping fit, running and walking my dogs. Mia is the daughter of Clare and Mark, she is currently at Bexhill College studying photography and psychology as well as working here one day per week to gain a knowledge of the nursery.